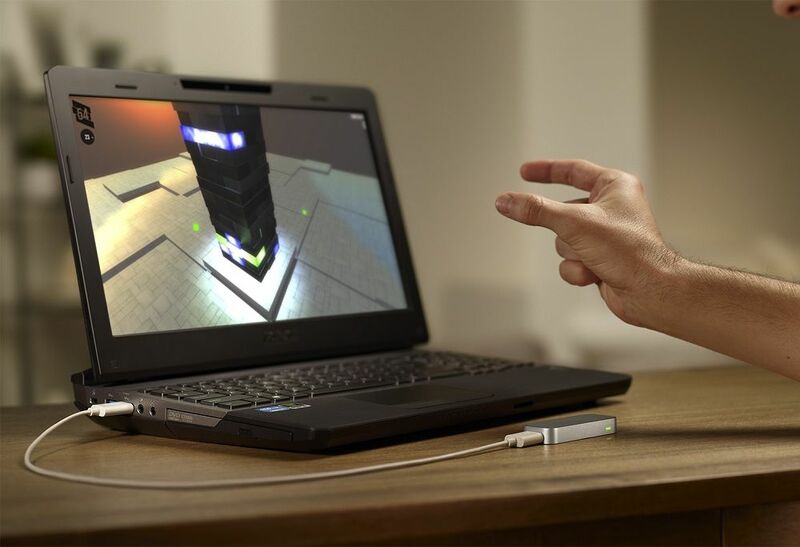 Tag Archive | "perceptual computing"
Broadwell Ultrabooks in Q4 2014. Expect these Features. We’re in a good place with Ultrabooks right now. Haswell gave us the battery life we were waiting for and prices have come down. 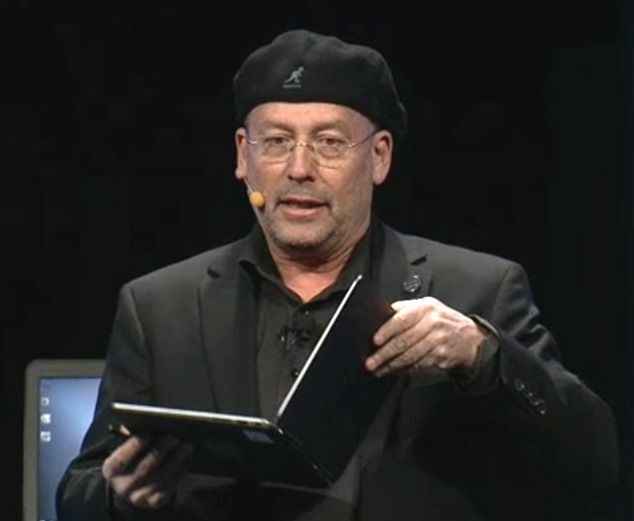 Effectively the Ultrabook project is over but the brand, and the soul of the Ultrabook continues. 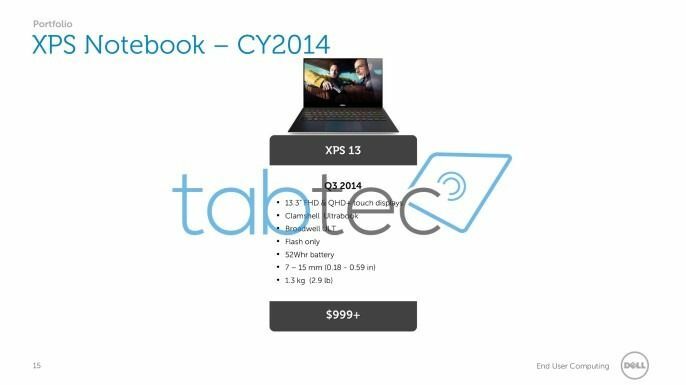 A Dell XPS13 has been leaked for Q3 and it’s highly likely we’ll see a launch at Computex in June but don’t expect any large-scale products or refreshes until Q4. While some may say that’s a slip, it was much the same with the last generation. 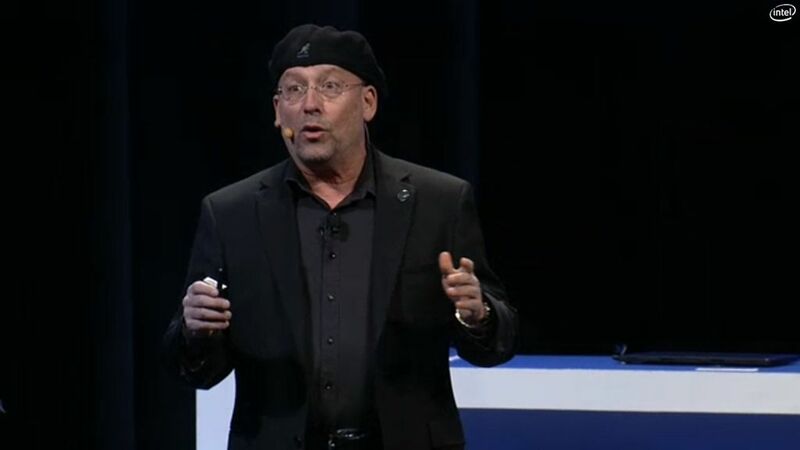 With Broadwell we can expect another tick (or was it a tock?) in the Intel strategy of improving processor architecture and then improving the manufacturing process. This time round we’re moving to a 14nm process which, like the move from Sandy Bridge to Ivy Bridge, gave us power efficiencies. We also got a refreshed GPU in that round too so maybe we’ll see some ‘Iris’ action on Ultrabooks later this year. CES2014 Ultrabook Round-Up. Ultrabook 2014 Thoughts. The big CES2014 Ultrabook news summary is that there isn’t really anything major to talk about, which needs talking about. 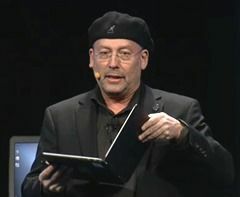 Given that there were no major Ultrabook announcements or evidence of Ultrabook marketing at CES2014 we now have to think about the future of the Ultrabook and leading-edge notebooks. Importantly, who’s going to carry the flag for new PC technologies? Or was CES2014 just a break in the project to allow Intel to promote themselves in newer emerging technologies? What’s next for the Ultrabook, Ultrabook 2014. “IDF 2013 represents the beginning of a new era for Intel” says the first line of the keynote overview for Intel’s Developer Forum 2013. It starts on Tuesday Sept 10th in San Francisco and we’ll be there. IDF is always an informative experience and, if you listen and read carefully, you get some big tips on Intel’s strategy. 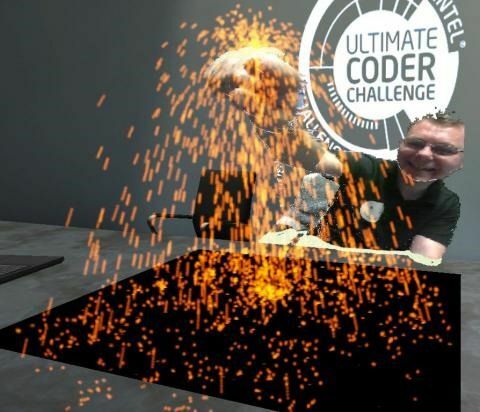 The Ultimate Coder Challenge put seven teams together and challenged them to make showcase applications for a Lenovo Yoga 13 Ultrabook and the Creative sensor hardware, in seven weeks. We watched with amazement at how much the teams learnt, wrote, developed and optimised their apps. We found hardware limitations, software limitations and problems with gestures themselves but that’s exactly what we needed. The judges, teams and Intel have put hundreds of hours effort into finding out what works and what doesn’t. 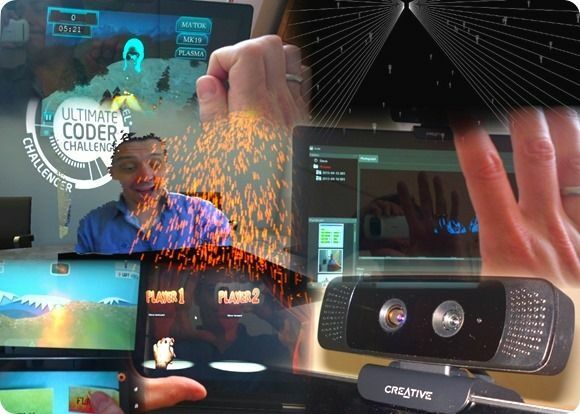 It will all help the development of perceptual computing, ‘Percie’ as some are calling it now, solutions for Ultrabooks, AIO and other screens in the future. HP Announces Partnership with Leap Motion, Trying to Beat Intel to the Perceptual Computing Scene? 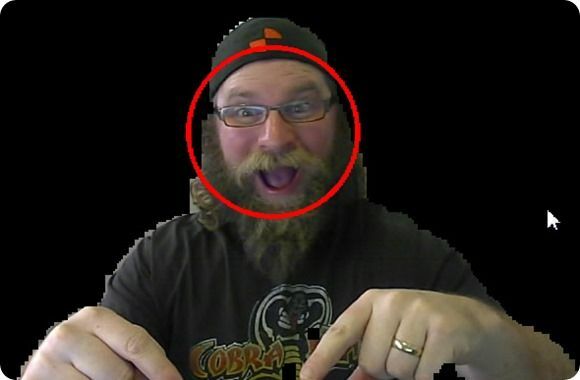 Leap Motion is an inexpensive Kinect-like 3D sensor that made waves when it was announced months ago thanks to its high fidelity low-latency tracking. The company recently announced a partnership with HP to bring Leap technology to HP products. If you’ve been following the Ultrabook realm closely as we have, you’ll know that Intel has been pushing their ‘Perceptual Computing‘ initiative in an attempt to take Ultrabooks and PCs to the next level of human-computer interaction with natural inputs like touch, gesture, voice, etc. It seems like HP may be attempting to leap-frog Intel in that regard. News Comments Off on HP Announces Partnership with Leap Motion, Trying to Beat Intel to the Perceptual Computing Scene? After a few days of setting up and testing I’ve spent a good amount of time with all of the submissions to the Ultimate Coder Challenge where showcase applications are being built for a Lenovo Yoga 13 Ultrabook to demonstrate the Intel Perceptual Computing hardware. It has at times been frustrating but as I write this I do feel a rush of excitement for a new wave of input methods. It will take some years to perfect this technology, software and methods but, without a doubt, there’s something special going on here. Pay attention! 7 teams are competing in the Ultimate Coder Challenge where showcase applications are being built for a Lenovo Yoga 13 Ultrabook to demonstrate the Intel Perceptual Computing hardware. I’m one of the judges and this is the last week of the competition for the competitors. The competition closes on April 12th and that leaves just over 2 days before developers have to hand over their apps to us. My equipment arrives tomorrow so I’ll be setting up the Lenovo Yoga 13 and the perceptual computing kit over the weekend. I’m looking forward to testing. Important note: Intel will be holding their software keynote at 0900 Beijing time tomorrow (11th April) where we expect to hear more about perceptual computing and HTML5 development. Check back tomorrow for an update from Beijing. 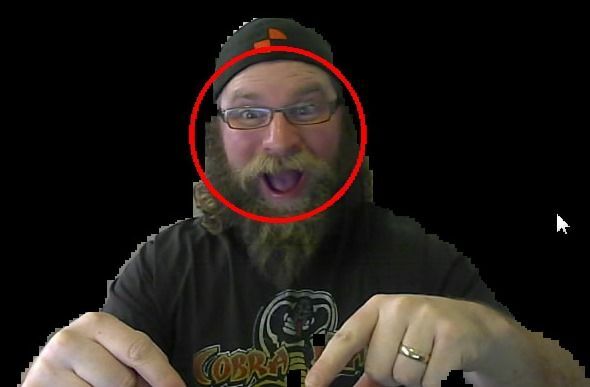 Ultimate Coder Challenge Week 6 – Road Tests Reveal Issues. Competitor Interaction Reveals Tips. 7 teams are competing in the Ultimate Coder Challenge where showcase applications are being built for a Lenovo Yoga 13 Ultrabook to demonstrate the Intel Perceptual Computing hardware. 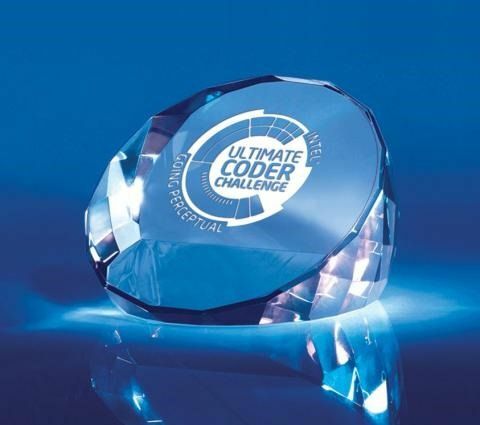 I’m involved with the judging of the Ultimate Coder event and every week you’ll find an update from me as I analyze the teams progress. This is week 6, one week before the competition closes on April 12th and teams have just come back from GDC where they demonstrated their apps to attendees and judges. Foot and tongue tracking features in the posts this week but I’ve checked the dates on the posts and sure enough, there may be a few April Fools going on here! Ben was at GDC for Ultrabooknews last week and his comments and a few videos are included below. 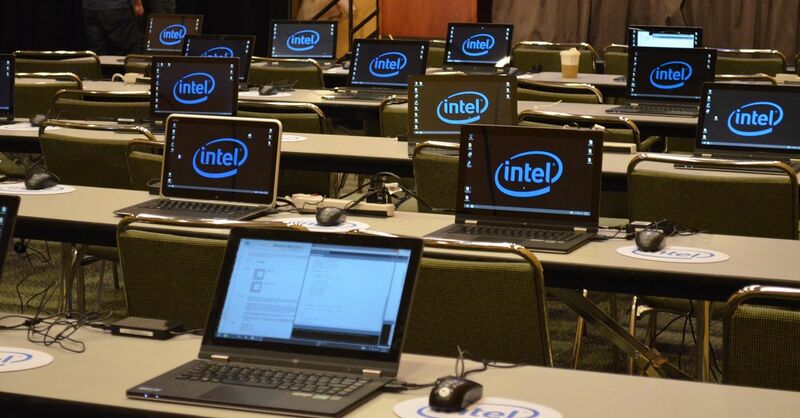 At GDC 2013 yesterday, Intel held a day-long developer session focused on what they call ‘perceptual computing’ — interacting with computers in more natural ways, thanks to advanced sensors. 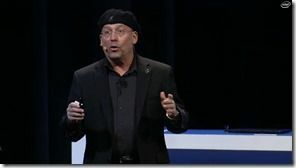 They brought with them a heap of Ultrabooks, each with a different design, to allow a room full of developers the opportunity to get hands-on experience with many facets of perceptual computing and the Ultrabook hardware itself. Additionally, Intel sent attendees of the session home with their custom Kinect-like depth camera. I’m involved with the judging of the Ultimate Coder event and every week you’ll find an update from me as I analyze the teams progress. This is week 5 and after this there’s just days before GDC where teams should be aiming towards having a good demo ready. Our Ben will be at GDC next week and talking to all the teams, seeing the demos and giving us a rundown of the progress he’s seen so stay tuned for that next week and if you’re are GDC, check out the Intel stage where teams will be presenting.